Republican challenger Carl DeMaio and Democratic Rep. Scott Peters capitalized on taxes and business interests this week with dueling endorsements in their 52nd Congressional District campaigns. 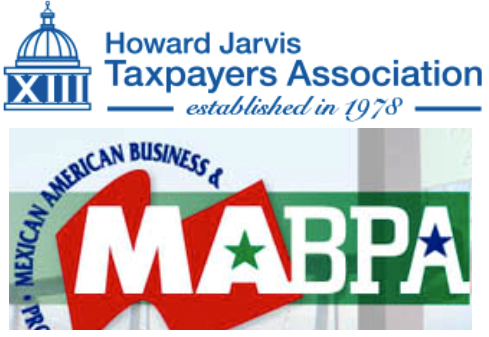 On Tax Day, the Howard Jarvis Taxpayers Association backed DeMaio. On Wednesday, the Mexican American Business & Professional Association endorsed Peters. The Howard Jarvis group has partnered with DeMaio in the past, said the DeMaio campaign. “In Congress, Carl DeMaio will shift reform of wasteful spending into high gear,” Coupal said. The Mexican American Business & Professional Association calls itself a nonpartisan group that regularly hosts prominent San Diego Republicans and Democrats; it was an early endorser of Congressman Peters’ successful campaign in 2012.